The welcoming 14th-century Farmers Arms Hotel, in the charming hamlet of Lowick Green, is the perfect base for exploring the beautiful Lake District and its national park. The Crake Valley Restaurant, with cosy oak beams and leaded windows, offers a tranquil setting for guests to dine in. After dinner, relax over a drink in the lounge with its open log fire. Farmers Arms Hotel also offers a games room and library for guests. 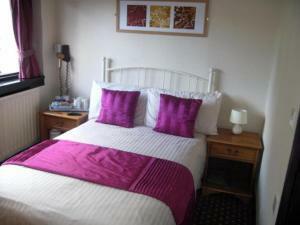 All rooms are inviting, many with original oak beams and all with en suite and a TV. Striking views of the Crake Valley can be seen from some of the rooms.